Nigeria’s Super Eagles may be waiting to play the game of their lives come Friday when they take on the Iceland football team in the on-going World Cup in Russia. 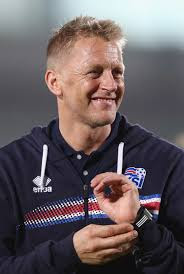 According to a response credited to Iceland coach Heimir Hallgrimsson, he said that, his team at the World Cup tournament is a nightmare to play against. “It would be foolhardy for anyone to underestimate our team in the Russia 2018 World Cup. We are more unpredictable now, and hopefully we’ll show that in the competition. We are bluntly honest about our ability. We know how we can win football matches. We have to play in a special way and we have a clear identity. "We are a nightmare to play against and we can beat anybody when we have our day,” he added.